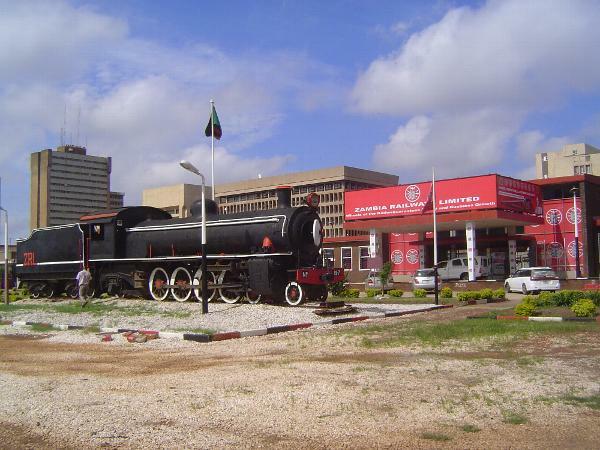 From 1911 until 1935, Livingstone was the capital of Northern Rhodesia. 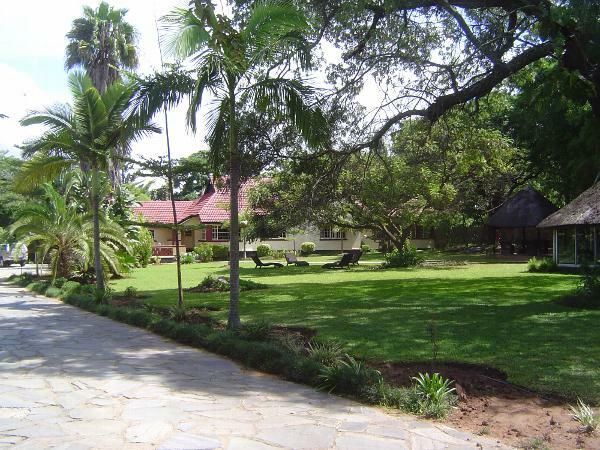 At the southwestern corner of the protectorate, Livingstone's location was convenient for South Africans wanting to do business here but terrible for just about anybody else. 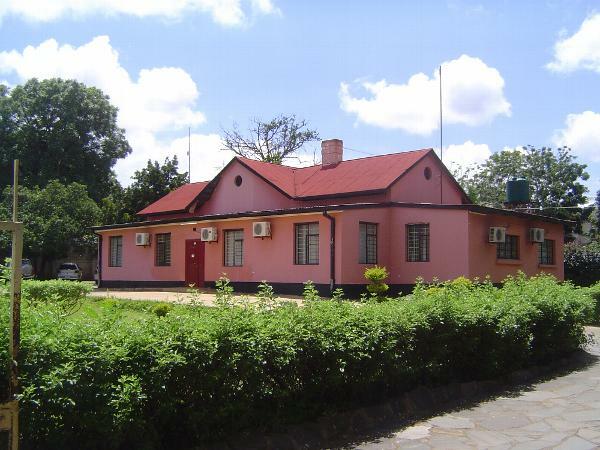 With the development about 1930 of the Copperbelt, on the northern edge of the territory, having the capital at Livingstone made even less sense, and the British set out to build a new, centrally located capital. 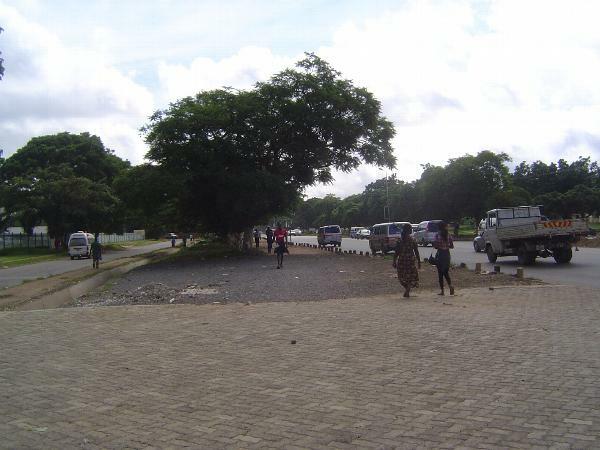 There was already a small town at Lusaka, centrally located and on the railroad running north to the Copperbelt. The British set out to add a planned administrative center that, they correctly believed, would grow to be a city. 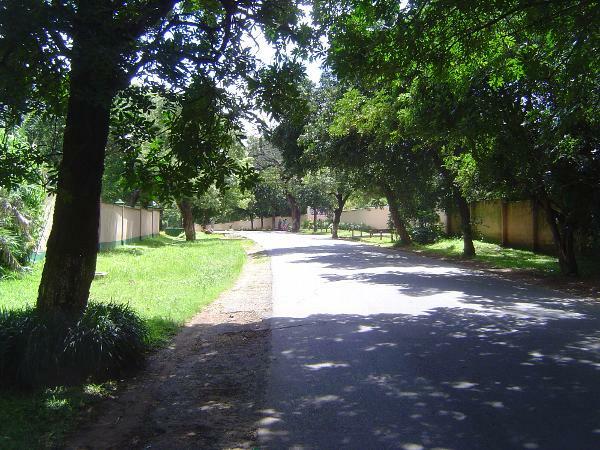 The main road into the city from the south has always been called Cairo Road--the name a bit of the Cape-to-Cairo dream. 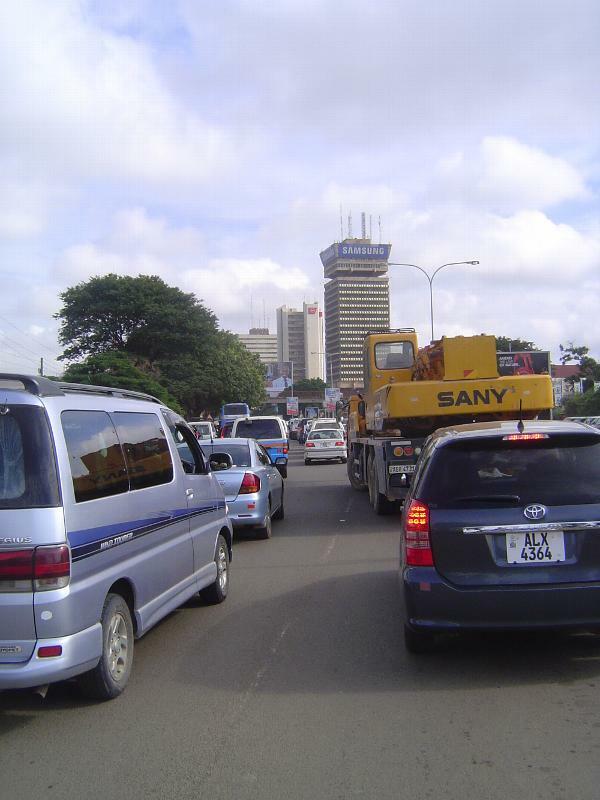 Here it is at a less-than-nostalgic moment but a very common one: traffic during the morning and afternoon rushes is bad. Up ahead are the city's main office towers, ranked along the railroad track. 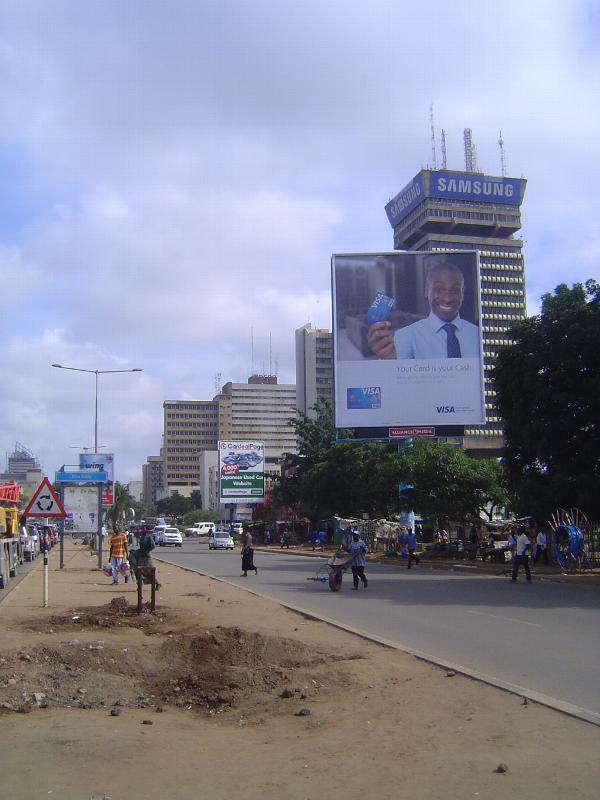 Despite the Samsung sign, the building is the headquarters of Indeco, the country's monolithic industrial development corporation. The old town was on the west side of the tracks; the new town, on the east. Here, the quiet station. Out front, a preserved locomotive. Want a picture? Better ask first; officials here are crazy-sensitive about photography. Perpendicular to the track and running eastward, this is Independence Avenue, formerly King George Avenue--and opened by him in 1934. Too wide? Blame S.D. Adshead, a professor of town planning at the University of London. He advised the government on the new capital and wrote: "It will cost practically nothing to acquire land... and...our methods of transport have so changed and the uncertainties of the future are so great, that it is wise to err on the side of being too widely spaced rather than to have the buildings conveniently near with a possibility of being overcrowded in the future." Alas, traffic is still terrible. 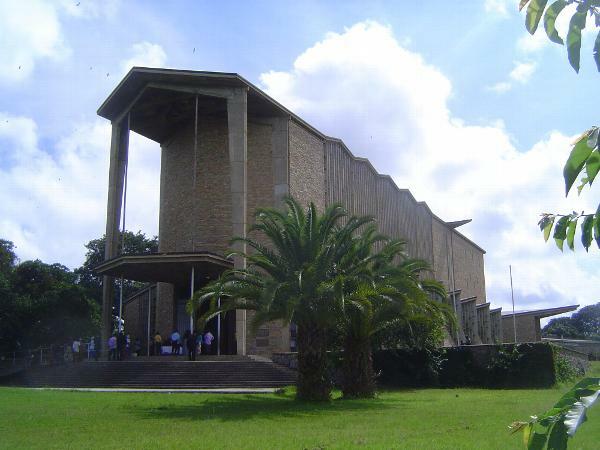 (Lusaka: The New Capital of Northern Rhodesia, 1935, p. 28). 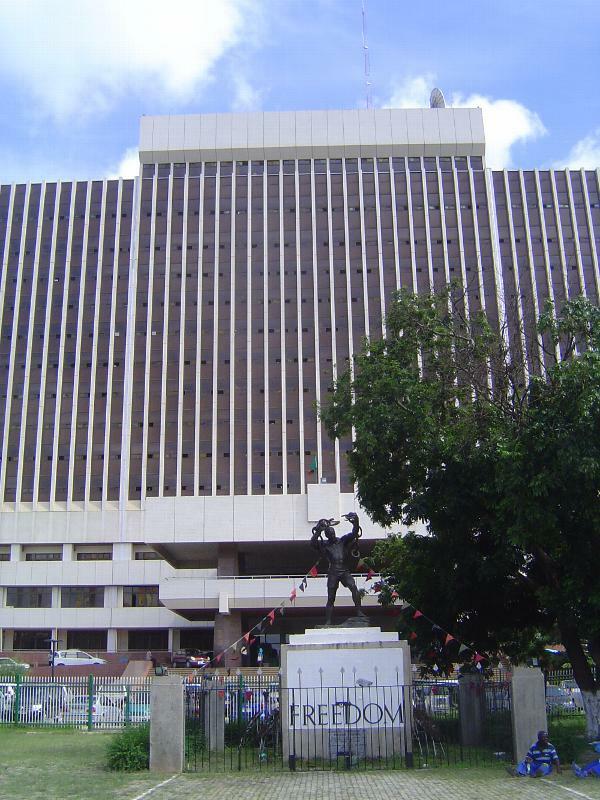 Facing the street is the Government Complex. In front of it is a monument unveiled in 1974 on the tenth anniversary of independence. 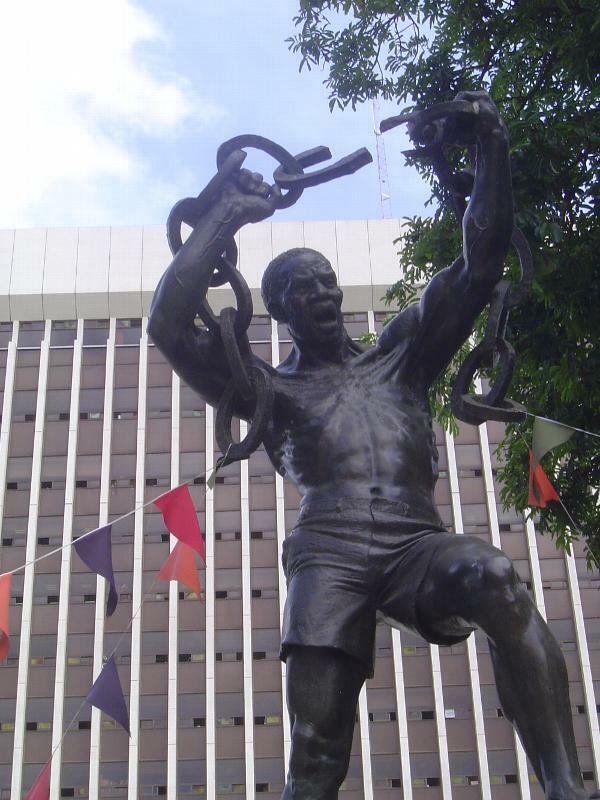 The figure is of mythical proportions but portrays the real "Zanco" Mutembo, who is said to have been arrested by the British in 1963 and told that if he could not break his chains he would be shot. 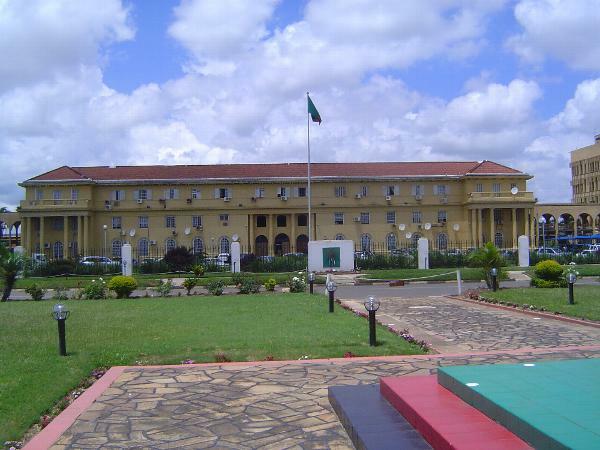 The Governor of Northern Rhodesia, Evelyn Hone, is said to have witnessed Mutembo's straining against and, to general astonishment, breaking those chains. 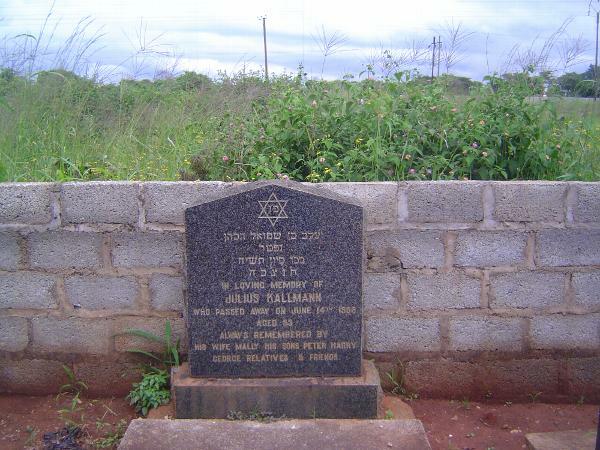 Hone is said to have then told Zanco that he would become a symbol of the country's freedom. 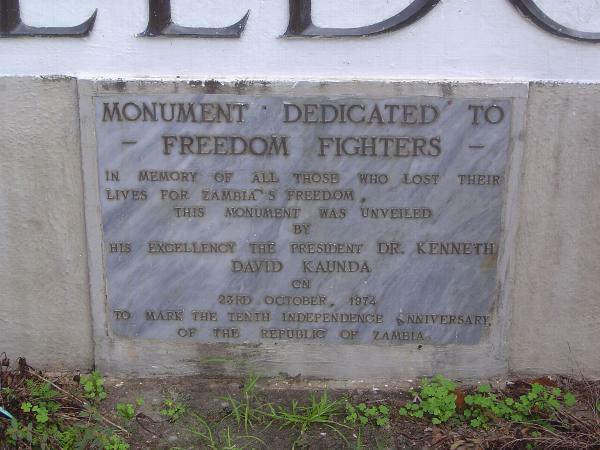 The plaque below the statue makes no mention of Mutembo. 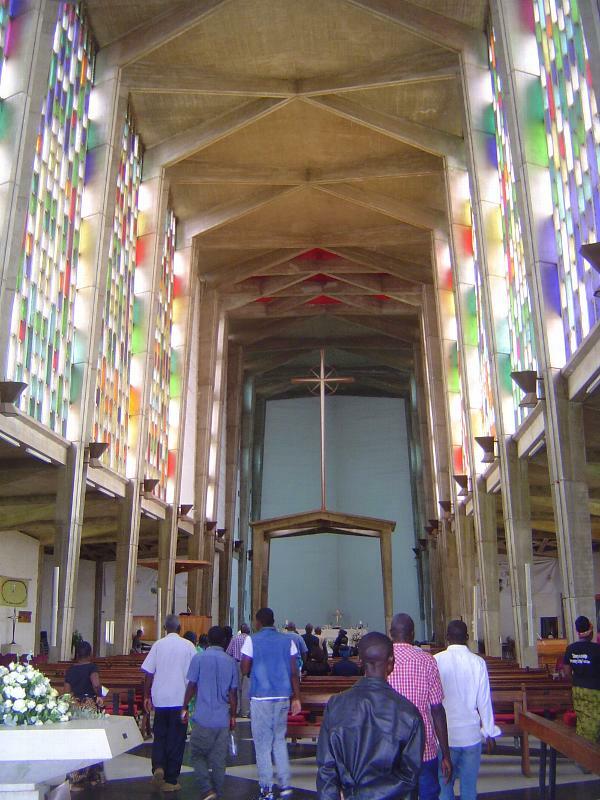 Further up the street is the modern cathedral, begun in the last years of British rule. Think you can take a better picture of the nearby High Court? You'll have to get permission from the chief clerk, and he isn't in this morning. When will he be in? "Maybe this afternoon." The emphasis is on "maybe." Beyond the high court, the street continues slightly offset but on nearly the same axis. 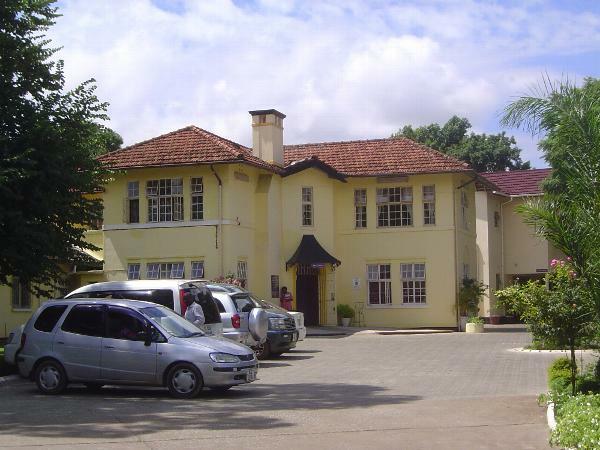 It gets a new name, Haile Selassie Avenue, though it was originally Queen Mary Avenue. 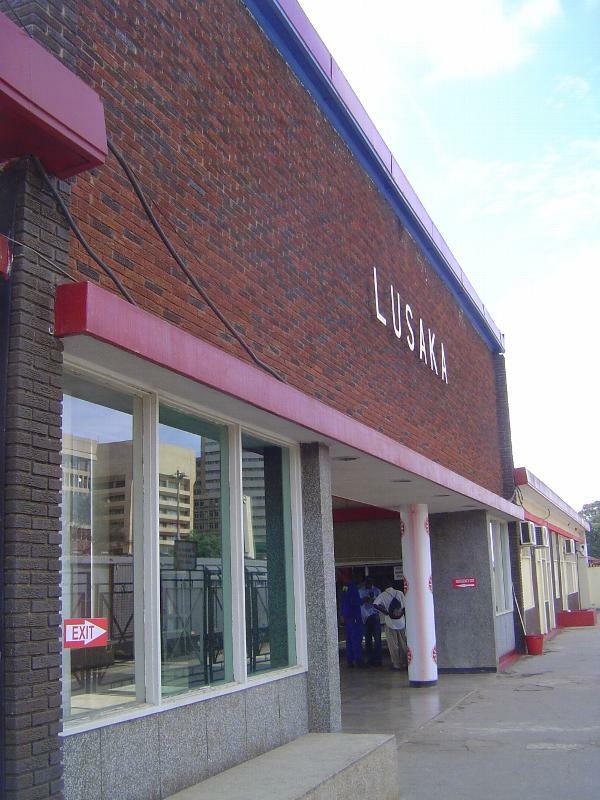 At the far end of the street the planners called for construction of the Lusaka City Airport. The name City Airport survives, but the place is now an air-force base. Maybe you can get a better picture, but you'll have to be sly. Here's the Secretariat, built very nearly as originally planned in the 1930s. It's on the street that branches to the right at the High Court and which the British called Ridgeway. Modern maps call it Independence Way. The picture is slightly tilted because voices were already yelling "No camera!" The Secretariat was designed so that wings could be added. They weren't. 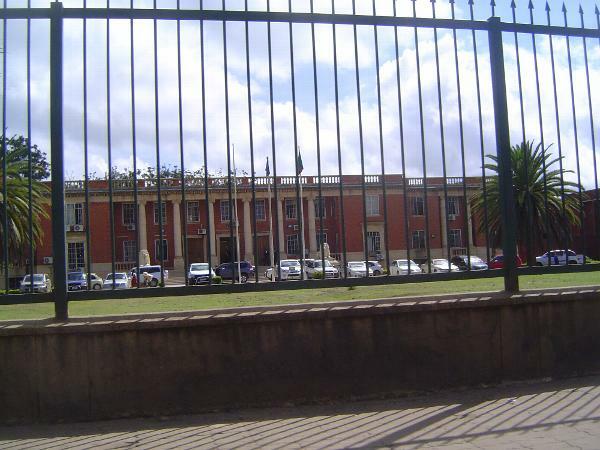 Instead, this block came along, not to mention the Government Complex and other buildings. Ridgeway or Independence continues through a quieter residential area and eventually ends at a traffic circle in the middle of nothing much. 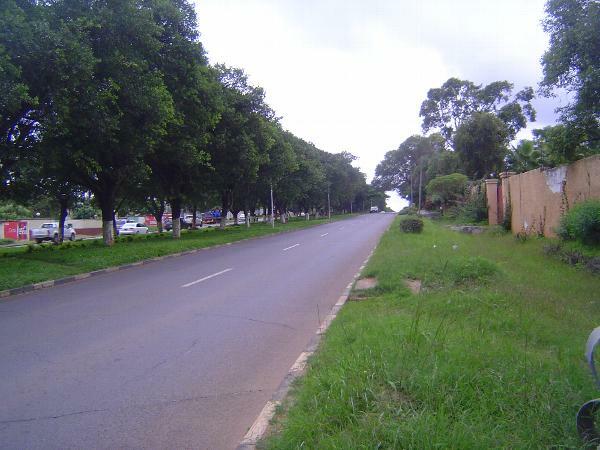 This is Chisidza (originally Councillors') Crescent. 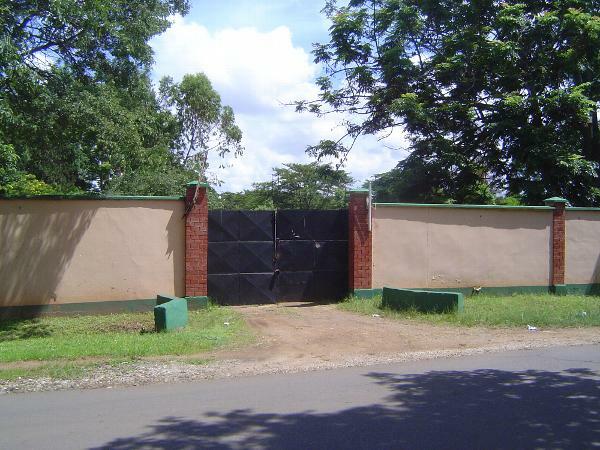 This short street, near Haile Selassie Avenue, was planned for high officials and still retains some of the bucolic seclusion they enjoyed. For it, they could chiefly thank one man, Eric Dutton. A colleague of his recalled: "The new town had been carefully planned on a spacious scale by experts from England as the nucleus of a future city. Already it was a more attractive place than anyone could have expected it to be. This was largely due to the imagination and drive of Eric Dutton. He took a deep personal interest in the whole project and harried the town-planners and architects to distraction. 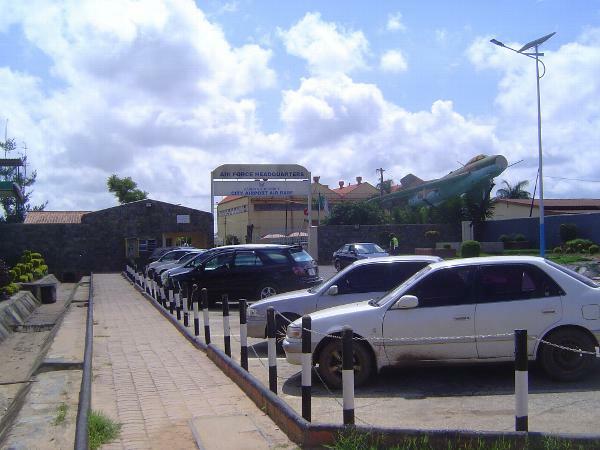 He also made it his business to beautify the whole place with trees and flowering shrubs. He collected seeds and seedlings from all over the tropical world, and grew them in a nursery round which he stumped, and swore and rejoiced. Then he planted them himself not only along all the roads but in the gardens of all the Government houses. He was a ruthless enthusiast and a demon of energy." 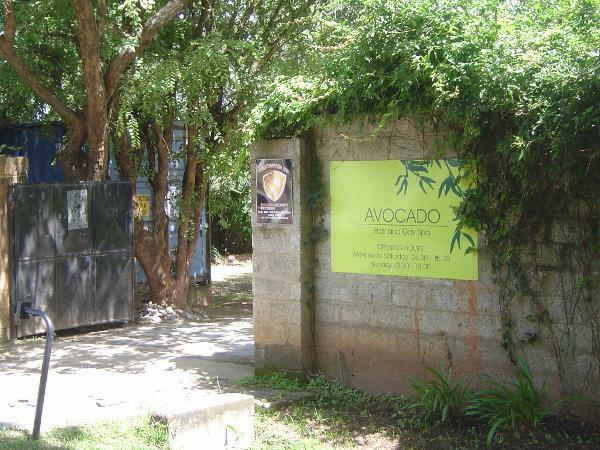 The same official, Kenneth Bradley, recalled: "We found ourselves living in a brand-new, double-storeyed house with a large garden and we asked for oleander, frangipani and other exotic shrubs to put in it. 'Right!' said Dutton. 'Dig ten square holes, three-by-three-by-three--feet, not inches.' When we were ready he came with a lorry and two Africans. In went the shrubs and they flourished in great beauty. But woe betide those who had dug their holes round instead of square or two by two by two. One look, one blast of scorn, and away he would go in his corduroy trousers, yellow shirt and red scarf, stumping along on the stick which his war-wound compelled him to use. His lorry with the precious shrubs still on board would roar away in a cloud of red dust and the digging had to be done again." (Kenneth Bradley, Once a District Officer, 1966, pp. 88-9). On the same crescent, a residence was planned here for the chief secretary. Peek over the wall now (2015), and there's only the rubble left over from demolition. The site was being developed by the Saudi embassy--or so said a cluster of taxi-drivers at the corner. Here's the kind of house that was in the same neighborhood, earmarked by the planners for "executive councillors' houses." 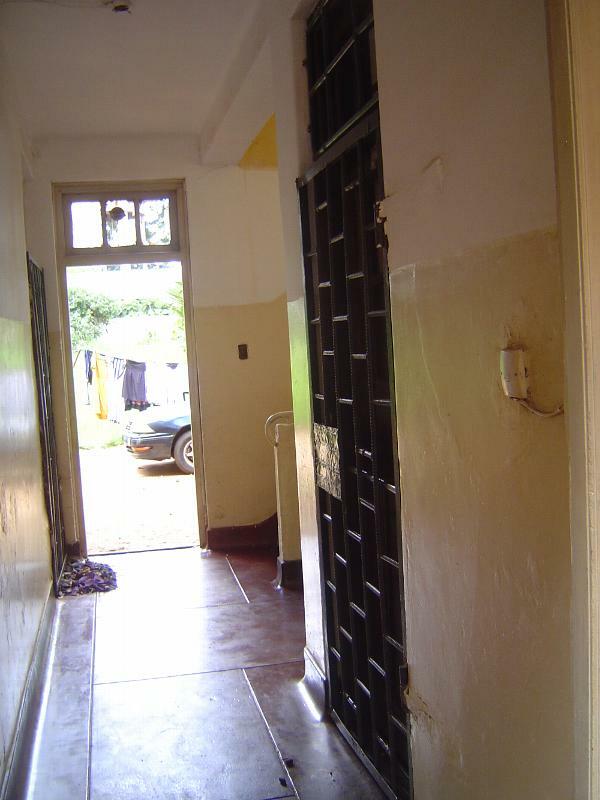 This one was converted to a hospital in 1999. Another one survives in its spacious garden. It, too, has found a new use. The townsite was zoned into areas for cottages, bungalows, flats, and a native village. Here's one of the cottages, the so-called Yodel Houses, referring apparently to the Austrian Tyrol. Drawings from the 1930s show the buildings with a steeper roof than as built, with shutters on the windows, a balcony on the upper projection, and with a large chimney at one side. And one in more authentic tones. 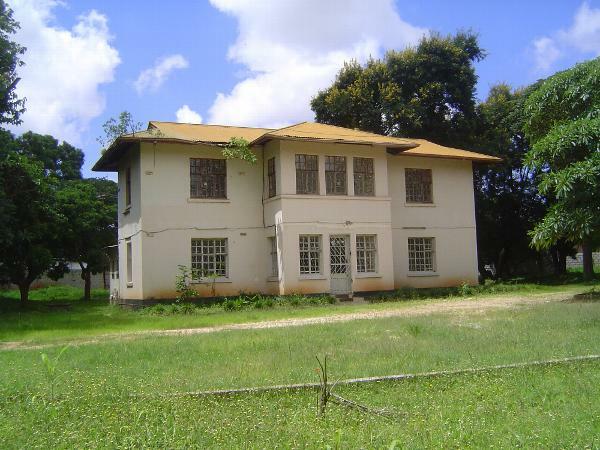 Six blocks, each of eight apartments, were "designed for junior unmarried officials, men and women, each flat consisting of two rooms with a kitchen and bathroom" (Lusaka, the New Capital, p. 58). Bet the Brits didn't need the security gates. 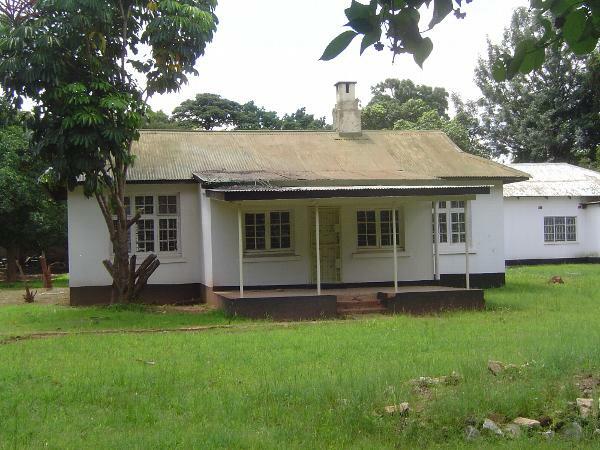 Personal servants were to be housed in a village of improved traditional huts. 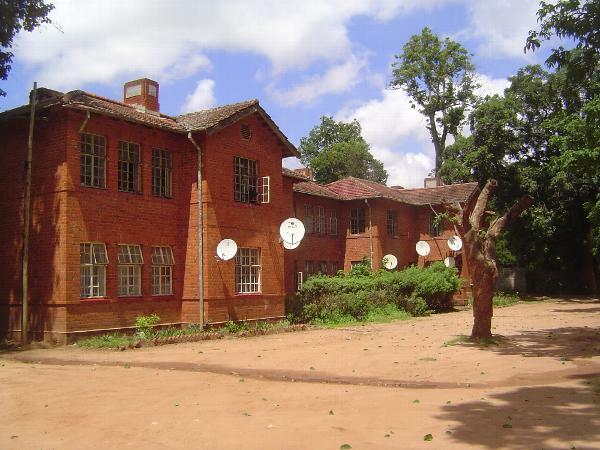 Most have since been destroyed, but several dozen survive in the Kabwata Cultural Village, originally the Personal Servants' Compound or the Governor's Village. 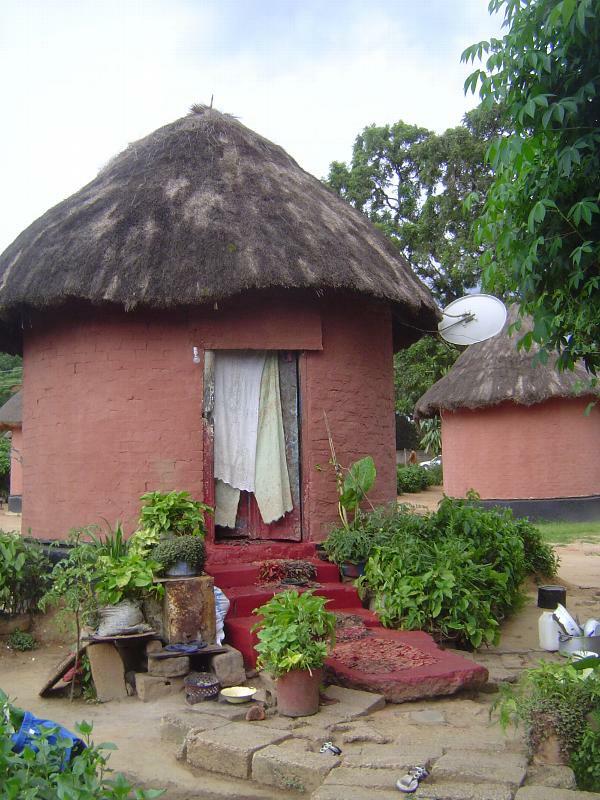 The anonymous author of Lusaka, a New Capital writes that the traditional hut "is made of poles, plastered with mud, and, with the ravages of weather and white ants, does not last more than three or four years. 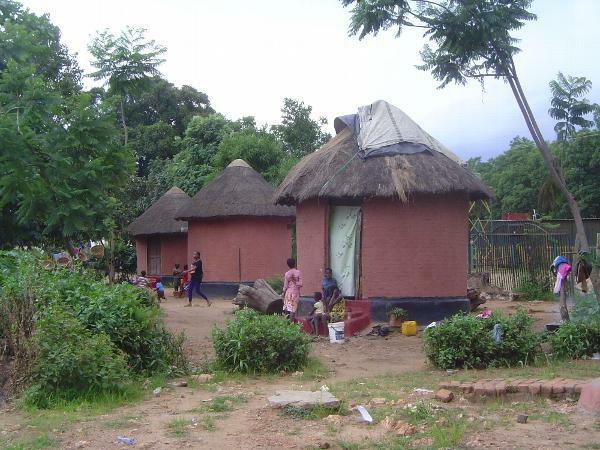 Clearly, while it was desirable to build a hut of materials which the African could gather for himself in the bush, it was not possible financially to make the huts of anything but permanent materials... 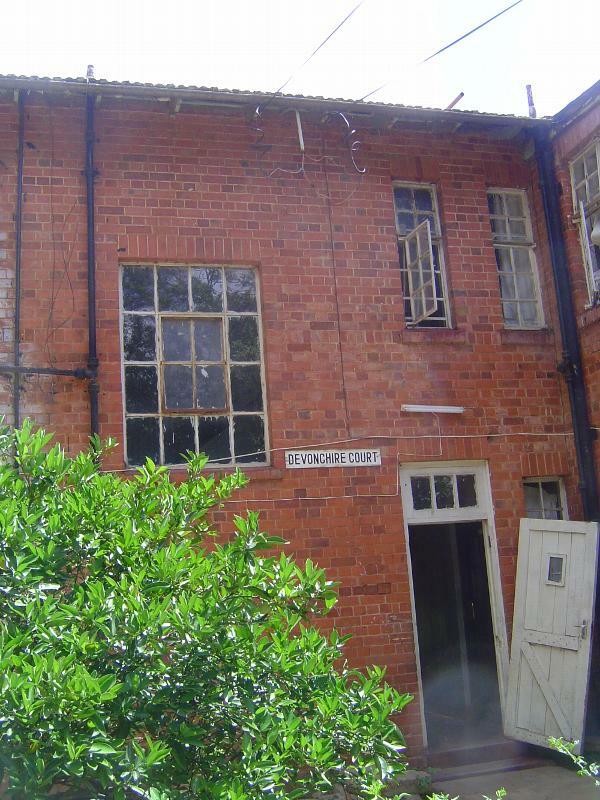 There is only one permanent building material available in Northern Rhodesia, and that is burnt brick... Lastly, the floors of a village hut are made of clay, often mixed with cow-dung. For many years they must continue to be made of clay, even if the cow-dung is omitted, but, again, clay is impermanent and unsuitable and some substitute had to be found for the compound huts. 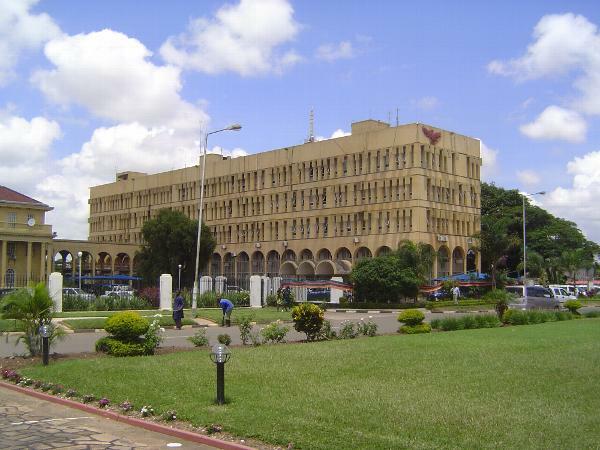 Concrete, suitably drained, was used in the interests both of permanence and cleanliness" (Lusaka, the New Capitalpp. 50-51; uncredited on the title page, but with his initials elsewhere, the author was Kenneth Bradley). There's a satellite dish but no running water. 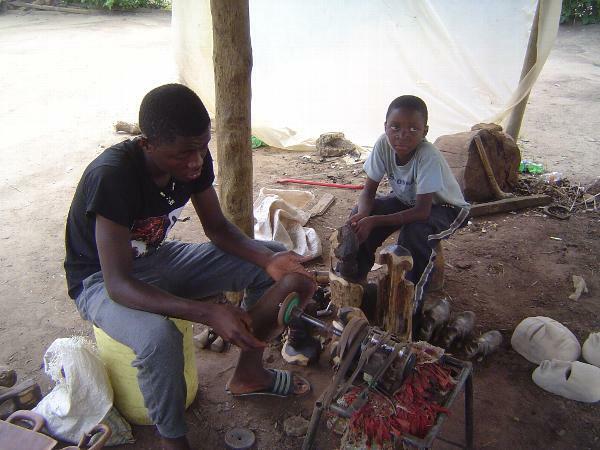 Many of the residents are involved in the production of crafts intended for tourists. 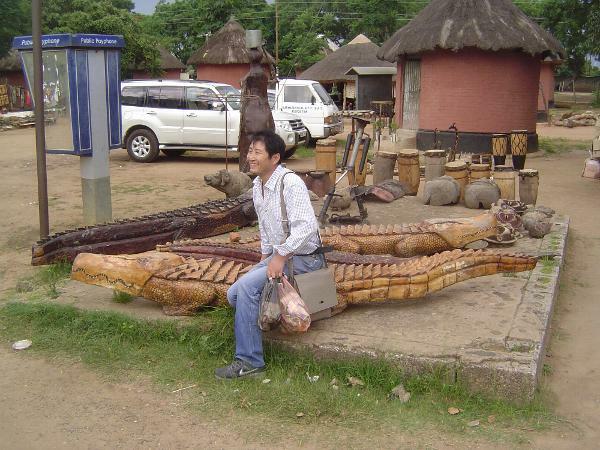 Some of the crafts are impressive; the tourists are frequently Chinese, taking a day off from their many businesses in Zambia. 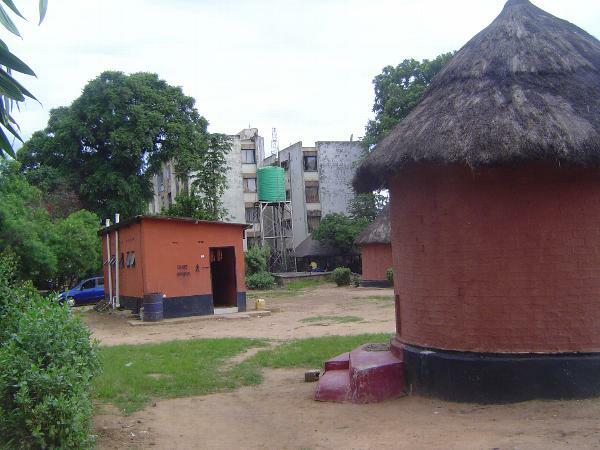 Latrines for the huts; in the background, apartment blocks to house the successor to the Northern Rhodesia Regiment. 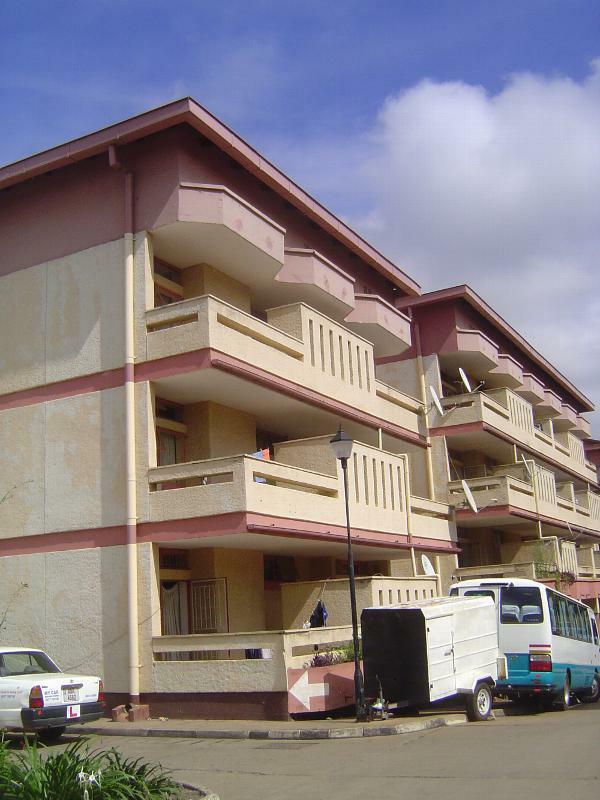 More flats; these are called the Nasser Flats, a nice demonstration of Pan-Africanism. Oh, I forgot: "No cameras!" Walk through the tall grass? Oh, come on. 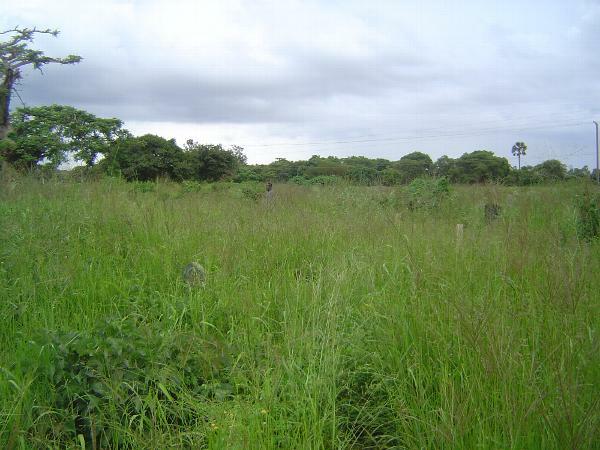 This is the city's main cemetery, beyond Leopard's Hill. How's this for cultural diversity? 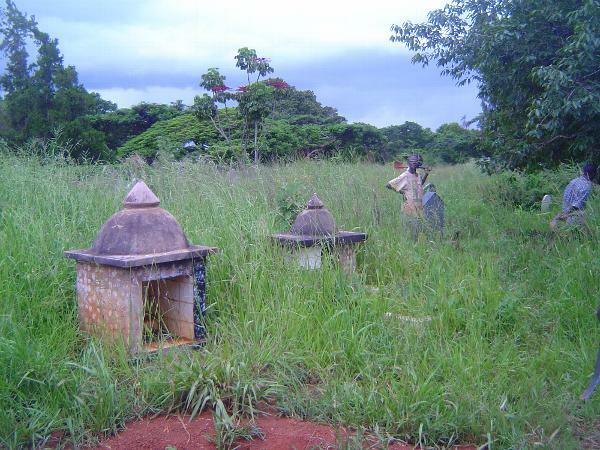 Hindu shrines for some of the Indians who came to Rhodesia.